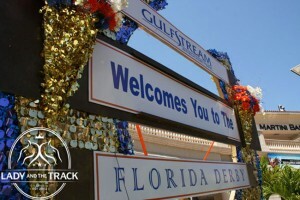 The post time for Florida Derby Day will begin at noon, and by then Gulfstream will be in full swing with plenty of festivities in honor of the Florida Derby. 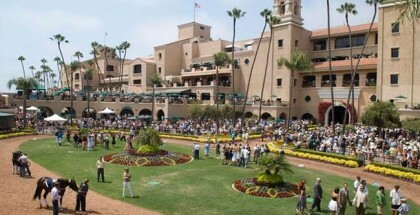 Festivities will begin with the Cocktails and Horse Tales event on Friday, March 27, that will include the crowning of the 2015 Miss Racing Queen at 6:00 p.m. There will also be live entertainment, a cash bar, cocktails, and hors d’oeuvres. There will be a live raffle drawing at 8:00 p.m., and there will be a $20 suggested donation at the door in the Walking Ring that will benefit the Thoroughbred Aftercare Program. From 6:00 to 8:00 the event will be by invite only, but it will open to the public beginning at 8:00 and runs until 10:00. 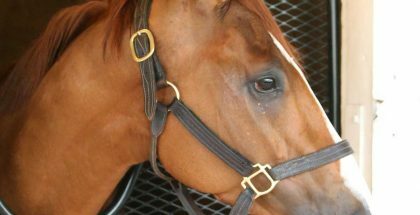 After the 2015 Florida Derby, Gulfstream Park will be in full party mode with festivities held at both the Ten Palms Restaurant and the Fountain Club Restaurant. The Ten Palms will feature the fresh Florida Stone Crab Bar, and the doors will open at 11:00 in the morning with the buffet running from noon until 5 o’clock. The cost is $300 for window and outdoor seating and $250 for all other seating. The Fountain Club will also open at 11:00 and runs $150 for interior seating or $175 for a rail seat. All seating will receive a prefix menu. Reservations are suggested for both restaurants. Also featured on race day is the Sutter Post Farm Clydesdales in their first appearance ever on Florida Derby Day. The first show is at 11:30 a.m., and the second show will be after Race 11. 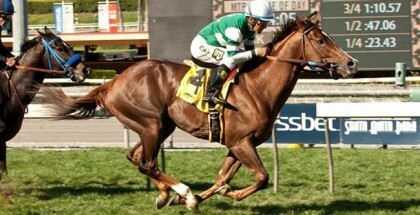 On Saturday, Gulfstream will also host Derby Day at the Sport of Kings. Doors open at noon for this special event held at the Sport of Kings Theatre. 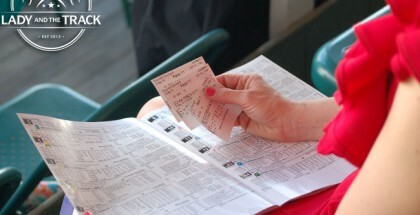 The cost is $50 per person, and it includes poker and live racing and a BBQ buffet, soda, and coffee. Reservations are suggested. For early risers, guests can enjoy Breakfast at Gulfstream before the big race. It runs from 7:00 until 10:00 in the morning and is held at Stretch’s BBQ and Tiki Area featuring a $10 All-You-Can-Eat Buffet. 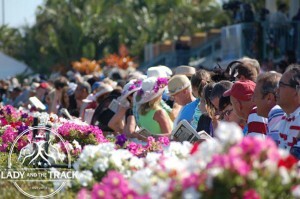 Gulfstream Park will also be hosting a Florida Derby Hat Contest. Contestants will be judged on their style and overall appearance, and the contest will end after the call to the post for the eighth race. Girls ages 2-12 can win $100, Young Ladies ages 13-17 can win $150, and Ladies ages 18 and up can win $750. Gulfstream Park will close the day with the Florida Derby Closing Party following the final race from 7:00 until 10:00 in the Walking Ring. This event offers free admission, live entertainment, cash bars, and drink specials. The morning after the race, Gulstream Park will have a brunch at the Ten Palms from noon until 4:00. The cost of the brunch is $45 for adults and $25 for kids under 10. Also at noon on Sunday, fans can receive a fan appreciation towel gift with the purchase of a Gulfstream Park Handicapper or Daily Racing Forum while supplies last. 9 Upstart 8-5 Ortiz/Violette, Jr.
With so many fun events and a Florida Derby Hat contest, you will want to look your fashionable best. 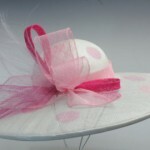 Try one of spring’s most playful patterns of polka dots paired with your Derby hat. 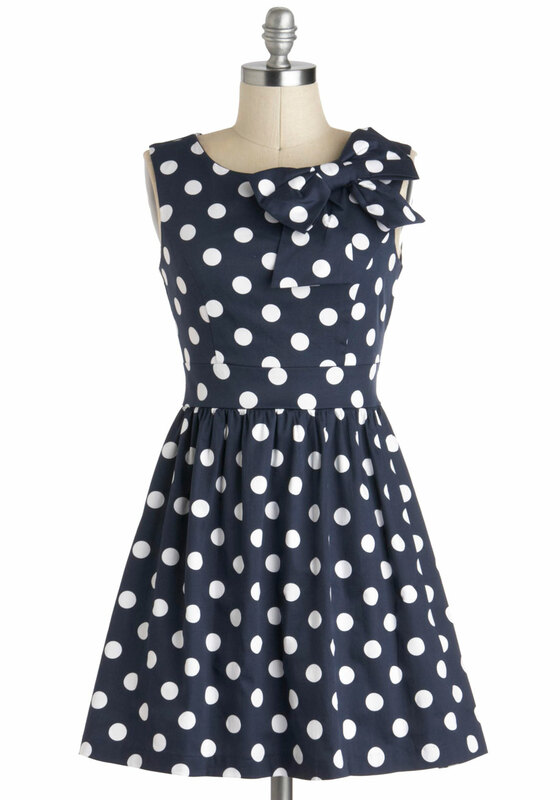 Polka dots are a classic race day look, but they are also fashion forward, fresh, and playful. 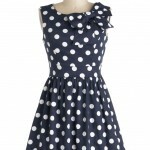 Try a sweet fit and flare navy polka dot dress with lovely bow detail at the collar. For a fun, fancy take on the polka dot trend, try a black sheer polka dot dress. 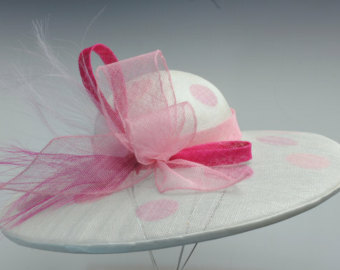 If polka dots all over is too much for you, then try a solid color outfit, and pair it with a great polka dot derby hat. Whichever way you choose to wear your polka dots, you will be sure to stand out and look great all day at the Florida Derby.